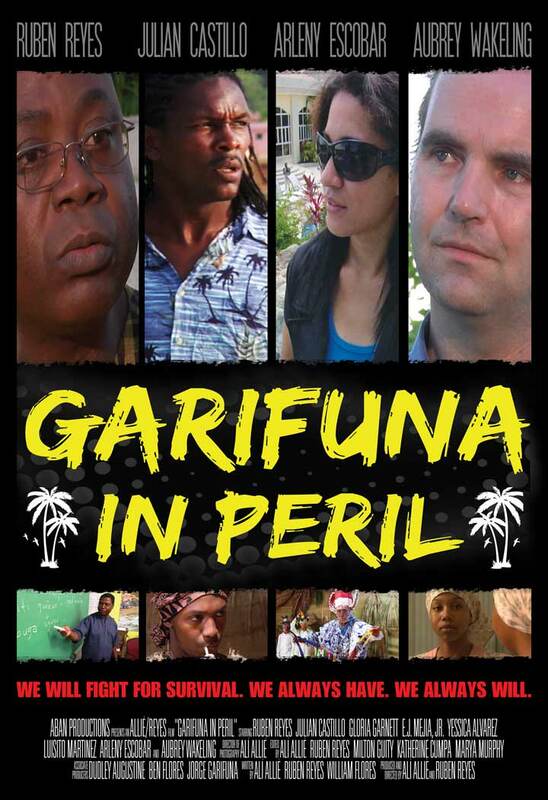 “Garifuna in Peril”, a feature film produced and directed by Alí Allié and Ruben Reyes, premieres in San Diego on February 3 and Los Angeles on February 16, 2013. Los Angeles Pan African Film Festival on Saturday, February 16 at 2:30pm at Rave Cinemas Baldwin Hills, 4020 Marlton Avenue, Los Angeles, CA 90008 (www.paff.org). Allié also photographed the film, with assistance from Franzwah Estrada in Los Angeles and Angel Castillo in Triunfo de la Cruz, Honduras. The film was edited by Allié, Reyes, Milton Guity, Jr., Katherine Cumpa and Marya Murphy. Alí Allié is an independent filmmaker and cinematographer who was born in Northern California. After graduating from California Institute of the Arts, he produced and directed several Spanish language short films, Mi Piñata (a Mexican woman’s tragicomedic birthday fantasy) and Agua en la Villa (a montage of water usage in an orphanage in Honduras), both of which played at major Latin American film festivals. He then went on to direct the first dramatic feature film relating to Garifuna culture and spirituality, "El Espíritu de mi Mamá" (Spirit of my Mother), filmed in Honduras, which won awards at film festivals worldwide. More recently Alí has been working as a cinematographer on several independent films such as Canary and Amity, and with young people in the field of video production and multimedia at the Blazer Learning Center in South L.A.
Ruben Reyes is a Garifuna scholar and educator who was born in Tela, Honduras with extensive knowledge of the Garifuna culture and history and is an expert in Garifuna language. He has taught Garifuna language classes in Los Angeles in association with the Garifuna American Heritage Foundation and also produced "The Sásamu Show," a weekly program of interviews on GariTV.com about the Garifuna culture and issues in the community. In 2012, Ruben published the first Trilingual Garifuna Dictionary (Garifuna/English/Spanish), which he spent 20 years compiling and editing. He is also a songwriter and artist, designing the Garifuna flag emblem seen in the movie “Garifuna in Peril”. He has also translated the National Anthems of Honduras, Guatemala and the United States into Garifuna, and co-founded the Garifuna Museum of Los Angeles.